Last Saturday’s Cars and Coffee event in Boise, Idaho should’ve been a fun time for everyone. 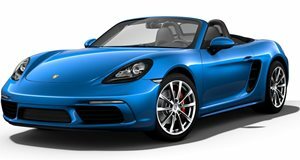 Instead, 11 people were sent to the hospital with various injuries after a Porsche Boxster Spyder lost control and plowed into them. According to the Idaho Statesman, all of the victims, including some children, had serious but non-life threatening injuries. A military medic, who happened to be there, immediately helped the injured. The driver, who is cooperating with investigators, was not hurt. Police says the investigation is still ongoing, and the driver could face charges. The descriptions from those on the scene sound pretty horrific. "You could hear the skidding and crashing," stated one bystander. "One body after another going flying up in the air, and shoes flying everywhere, and cellphones...And after that it was sheer screaming." Another witness was there with his 12-year-old son. "My son and I were the last two people he missed. There was a group of kids to the right of us and he hit every one of them." Witnesses told police that just moments prior to the crash, the Porsche was among several other cars that had turned right and were "kind of showing off for the crowd." But the Porsche driver then lost control "while going way too fast." This is yet another lesson for those who drive powerful cars: you need to know how to handle that power. Sure, accidents happen, but you shouldn’t be driving that fast with people standing so close to the road. Photos courtesy of the Idaho Statesman.